June 2012 has sold out - Second opportunity for November 1-15th. 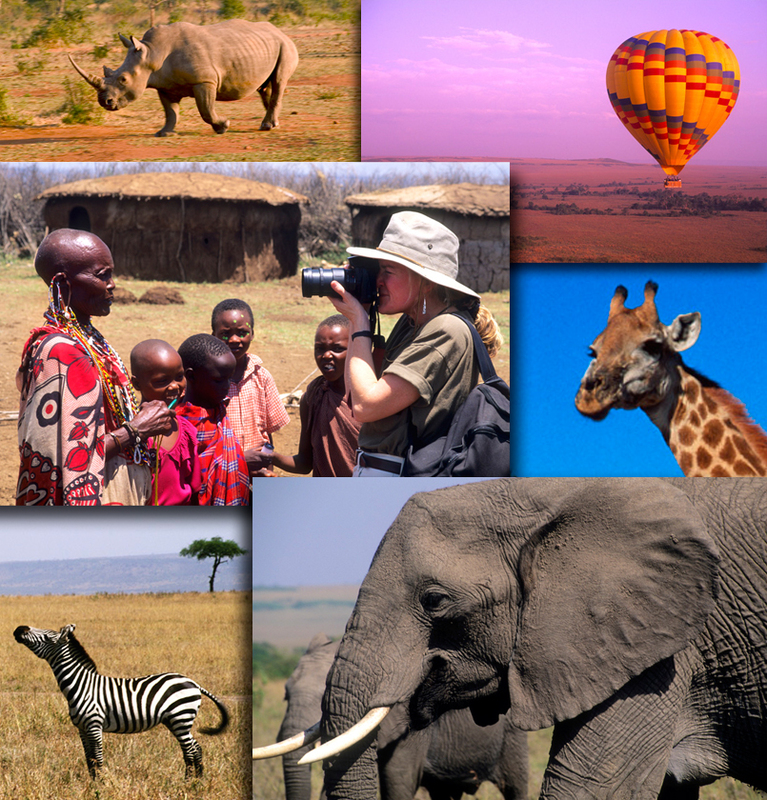 Experience the very best of Africa with a photography tour to Kenya and Tanzania next fall! This will truly be a once in a lifetime adventure. You'll be getting up close to wild animals while on safari in the best wildlife ranges in both countries, photographing the "Big 5", elephants, lions, leopards, buffalo's, and rhinos. You'll explore wonderful villages, and be exposed to the fascinating people and culture of the the Masai and the Mto wa Mbu tribes. You'll experience beautiful landscapes including the Kilimanjaro at sunset, and you'll have the option of seeing the world from a hot air balloon over the Serengeti. We will be doing 17 half-day game drives in Amboseli, the Serengeti, Ngorongoro Crater and the Masai Mara. If you love travel, photography and adventure, this is the trip for you! This is the ultimate East African Safari taking you from the foothills of Mount Kilimanjaro at Amboseli National Park across the Great Rift Valley to the eighth wonder of the world in Ngorongoro Crater, across the endless plains of the Serengeti to the jewel of Kenya's crown; the Masai Mara. This safari will give you some of the best game viewing experiences in some of the most scenic areas of the world. Accommodation comprises of a mix of small lodges and permanent camps. You will fly one route to enable you to cover the large distance without compromising on your game viewing time. This ultimate east Africa safari adventure is scheduled for November 1-15th 2012. What a great group of photographers that come together for photography, friendship and fun! The June trip is filled, however there are openings for November. For more information on this trip, and a detailed itinerary and pricing, email me.